Pairing our love of velvet with all things leopard, the Two Leopards Velvet Cushion introduces a wild style statement to any spot in your home. Exclusive to us at Rockett St George, you’ll only find these eclectic and super striking leopard cushions in our collection. 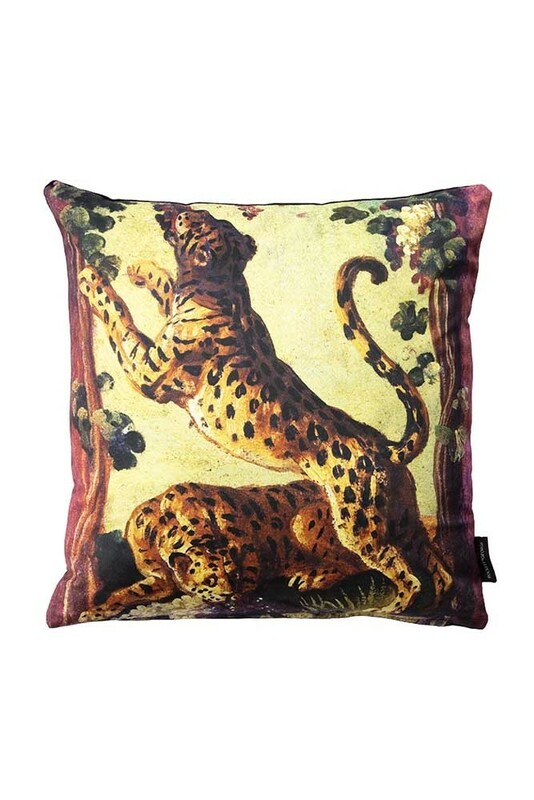 Fierce and fabulous, the velvet patterned cushion features two majestic big cats, with the first leopard leaping into the trees above whilst the other rests on the forest floor. 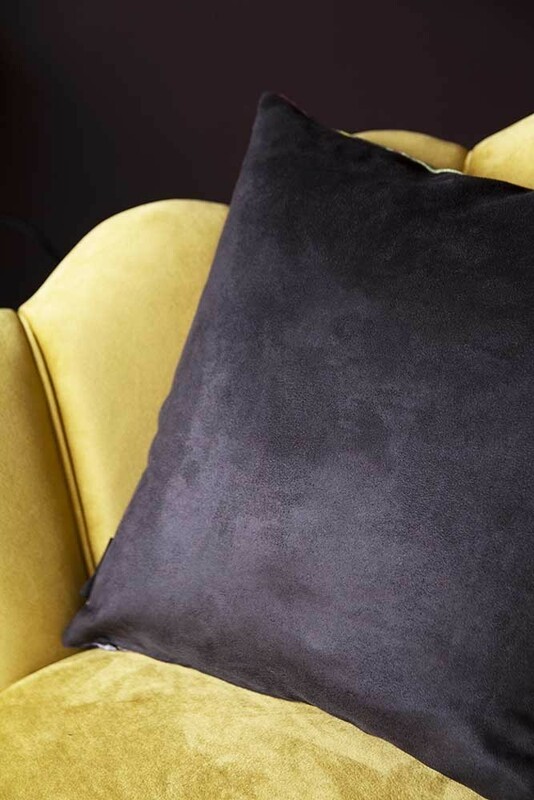 Made in the UK from sumptuously soft velvet, the Two Leopards Cushion measures 45 x 45cm and features a rich, retro colour palette with plenty of personality. If, like us, you can’t get enough of leopard print in your life then this is the cushion for you. Inspired by catwalk trends and the timeless, rock’n’roll appeal that has made leopard print a staple in our wardrobes, the Two Leopards Cushion introduces fearless character and undeniable statement style. 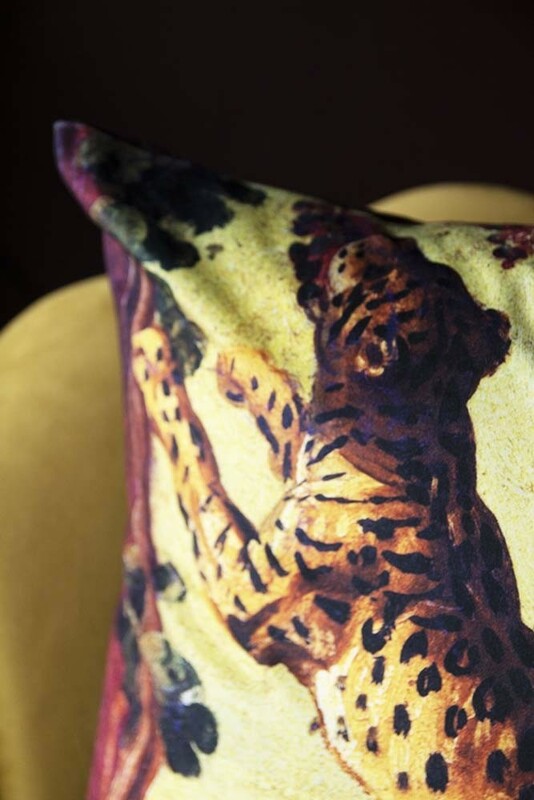 Introducing a pop colour and playful pattern to any interior, the Velvet Leopard Cushion includes bold brushstrokes and beautiful hand painted textures reminiscent of antique oil paintings. Perfect for experimenting with your wild side, the Leopard Velvet Cushions are perfect for transforming minimal interiors or introducing a high-fashion flair to dark design schemes. 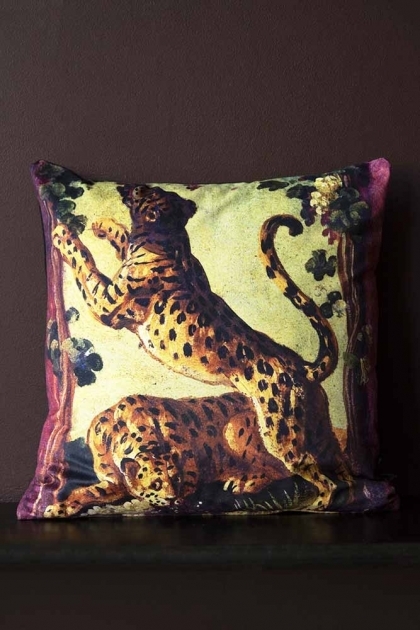 Both bold and beautiful, the Two Leopards Velvet Cushion combines vintage influences with a luxurious, velvet finish. 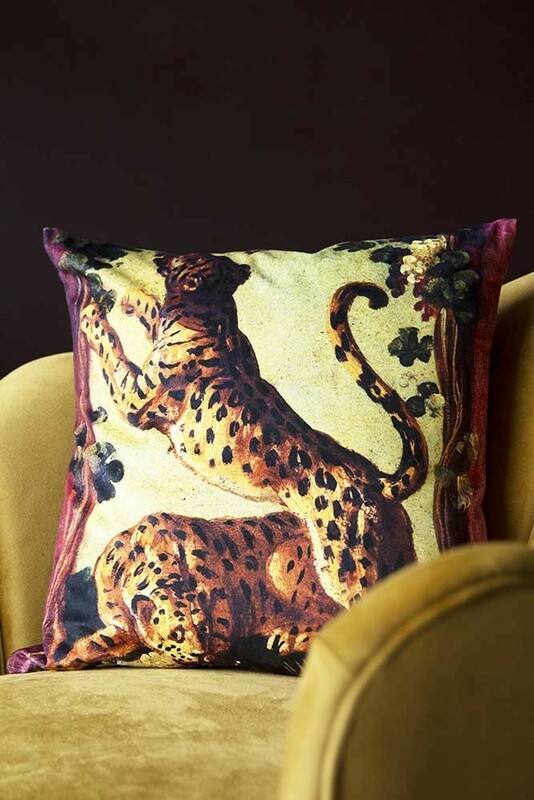 An incredible addition to any space, the leopard cushion adds instant life to living spaces whether styled solo on an armchair or layered with other tactile textures on the sofa. Not limited to the lounge, the Velvet Leopard Cushion also looks amazing as an accent piece on the bed for a hint of luxury leopard style.